Here’s a piece I wrote on opensalon.com back in November of 2010 about a writer I consider to be a mentor: Meyer Berger of The New York Times. His writing still shapes my own. On the morning of September 6, 1949, a mentally unstable war vet, armed with a Luger pistol, walked up and down his own block in Camden, New Jersey, shooting men, women and children. He killed 13 people and wounded more before he ran out of bullets and police captured him. Meyer (Mike) Berger, a New York Times reporter, got the story assignment just before 11 a.m. that morning. He jumped on a train to Camden, interviewed 50 people, wrote a 4,000 word story, and submitted it at 9:20 that night, in time for the printing of the first edition the following morning. 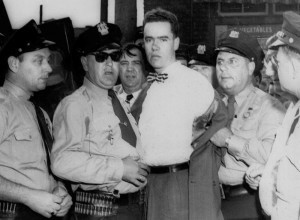 Berger won the 1950 Pulitzer Prize for local reporting for his Camden story. The Pulitzer honored Berger for accurate reporting and skillful writing under pressure. 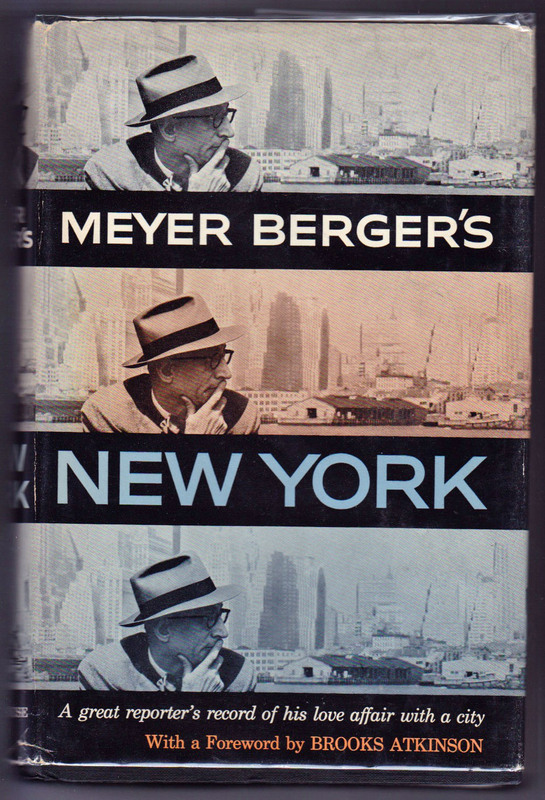 In the early 1960s I found a copy of Meyer Berger’s New York in the public library. 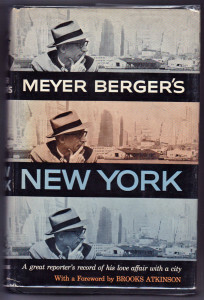 The book featured many of Berger’s Times columns, published between 1953 and 1959. Reading his columns taught me to look for the color, the detail, the small pieces that filled in a larger picture. New York was the skyscrapers, the Statue of Liberty, the subway, the crowds. But for Berger it was also a story on the birthday of the Tennessee pink marble lions that still guard the public library on Fifth Avenue. It was the story of the farm in the East River, on Rikers Island, where prisoners grew vegetables and raised chickens. It was the interviews with Canadian Indian steel workers, commuting each weekend between Montreal and New York, who helped construct much of Manhattan’s skyline. Berger tells of the gray-haired lady who painted daily on her third-floor terrace on Gracie Square, overlooking the East River. Her paintings of the river and its boat traffic grew so popular that passing tugboat captains would toot their horns in salute to her. As a kid I grew up reading newspapers: The New York Journal-American; The New York Daily News; The New York Daily Mirror; and on Sunday mornings the huge New York Times (accompanied by bakery rolls and jelly donuts). I continue to read the papers daily, although always online now. And I will always go to the color stories first, the pieces that go behind the facts. Always look for the background details to a story. The map, the diagram, the chart, the interviews with witnesses and peripheral participants. No television news program will give me that. Reporter and columnist Meyer Berger worked for The New York Times for 30 years until his death in 1959.